Saying “no” is important. But some people have a really difficult time saying it, and for a good reason. Are you always trying to be nice to others at the expense of your own work? Or are you afraid that by saying “no”, you will be a part of the hate list of your colleagues or your boss? It’s time to stop pushing off the important tasks that you need to finish. Everyone has their own set of priorities and saying “no” means you respect both the person who made the request and your valuable time. Never ignore the request. This is what most people do. Ignoring requests will lower your value and hamper your relationships faster than saying “no” more often than you say “yes”. It comes across that you are not listening, which is considered extremely disrespectful. Try and understand the importance of the task for the person, to get to the heart of the request and why it matters. This shows the other person that you value them and what they are trying to achieve. Take time to evaluate the request. Determine how much time you will need to invest to produce quality work and how the task fits into your existing schedule. Always try and understand the advantage of doing a particular task before agreeing to do it. Provide an alternative. While refusing a request, always try to find a solution for the person who approached you. Suggest someone else who could be of assistance to him. Ask whether you can help him in some other way or at a later date. Importance of personal communication. Always say “no” in person. Virtual barriers can put relationships at risk. Emails can be misunderstood. Your tone of voice can work wonders — the willingness stated through it cannot be read in emails. Be transparent. Instead of making him just listen to your response, make the person understand why you responded the way you did. Explaining the ‘why’ makes the ‘what’ simple to digest. You need to make them see your perspective. Weigh the outcomes. Evaluate the risks and benefits of every refusal. If you are at a senior level in the organizational hierarchy, saying “yes” to a request may interfere with your goals and vision or make you feel stressed out and exhausted. At the same time, if you are at a senior level, you might risk missing a learning opportunity or damaging your credibility in front of seniors when you decline a request. Goals first. If whatever you do every day is not taking you near your goals and vision, then you are definitely doing something wrong which you need to change immediately. This is about defining your vision. Because, if it is not defined, it will be difficult to understand which requests are in line with your goals and require your efforts. This will help you make good decisions and say “no” when required. Ask for help in prioritizing. Explain that you are trying to solve a real issue. If your boss assigns you a project when you are already committed to something else, explain this to him, and also ask for a suitable timeline for you to get back to him with the new project. Keep your explanation short and simple. Ask for guidance when priorities are not clear. There are times when you have to say “yes” even to an apparently unreasonable demand. Sometimes you will have to follow orders because your seniors know what's best for you and the organization. 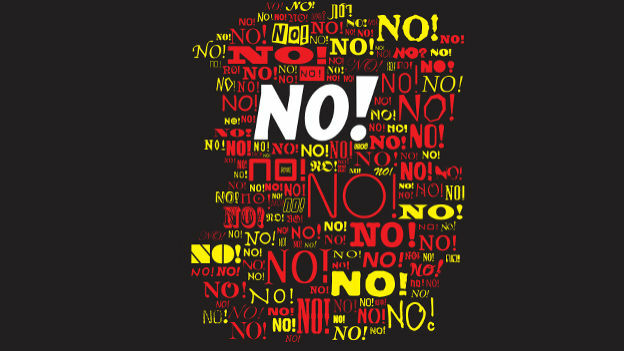 Successful people learn how to say "no" to requests based on a framework that helps them assess value versus effort. Refusing requests is one of the biggest favors you can do for your organization and yourself. NEXT STORY: Where are we heading to in the future?